Check these out! You don't want to miss this! This is the front entrance to MDC located below 8-0 in the Mezzanine. Go to 8th wing and follow the signs for further directions. If you are coming from outside, the entrance into Bancroft by the basketball court and tennis courts is the quickest route. The Midshipmen Development Center (MDC) is open to Midshipmen from 0730-1600 Monday to Friday, except Federal Holidays. Midshipmen should be in uniform of the day when visiting MDC. The Midshipmen Development Center exists to promote and enhance the adjustment, well-being, and professional development of Midshipmen through psychological and nutritional counseling services to Midshipmen, and through consultation and training to USNA Faculty and Staff responsible for Midshipman development, while respecting diversity of gender, race, sexual orientation and culture. A wide variety of training, educational, and clinical services are provided to the Midshipmen, Faculty, and Staff to support the mission of the Naval Academy and to respond to the individual needs and goals of our diverse Midshipmen population. 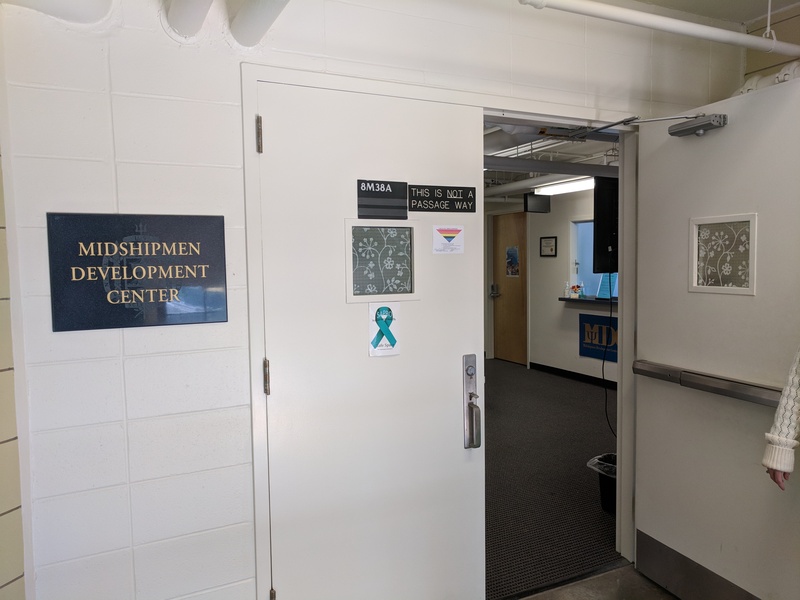 The Midshipmen Development Center is a non-medical facility, and the information obtained by the MDC does not go into a Midshipman's medical record. RESERVE a massage chair or the egg chair. CLICK THIS LINK FOR DETAILS.